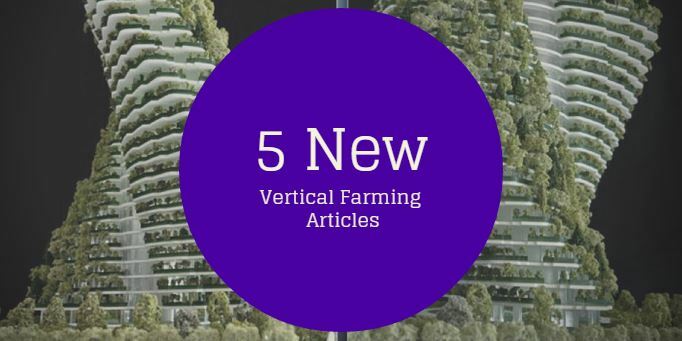 From vertical farms in rural Wyoming to 3-D printed food, a lot happened this week. With harsh winters and a remote location, Jackson, Wyoming, has been unusually dependent on food trucked in from far away. Here’s how one company hopes to change that. (Imaging stacking these vertically) Printed pastries with individually tailored nutrient levels. Ravioli that assemble themselves. Wedding cake toppers that are exact, tiny, renditions of the happy couple. It’s all possible thanks to a fresh meeting of taste and technology that has chefs exploring what 3-D printing might mean for the future of food. A new UM Dining experiment is using vertical growing towers, LED lights and fish to grow food. “The conept of the vertical greenhouse is to produce on many levels. In this method of production, we work with LED lights,” said David Proenza, who has been using this method of vertical production for three years. In this system, LED lights substitute the sun and collaborate in photosynthesis. “In vertical production, everything is controlled by computers,” added Proenza, who also highlighted that pesticides are not needed. Hopkinton — Even on a bitterly cold day, the greenhouse at Water Fresh Farm feels like the tropics. In the nearly half-acre space, where row upon row of beefsteak tomatoes, Persian cucumbers, lettuces, spinach, and herbs grow hydroponically, the temperature is warm and the air is humid — delightfully so. This entry was posted in news and tagged 3D printing, Greenhouse, LED lights, news, Vertical Farming by Evan. Bookmark the permalink.